The S.T.V. 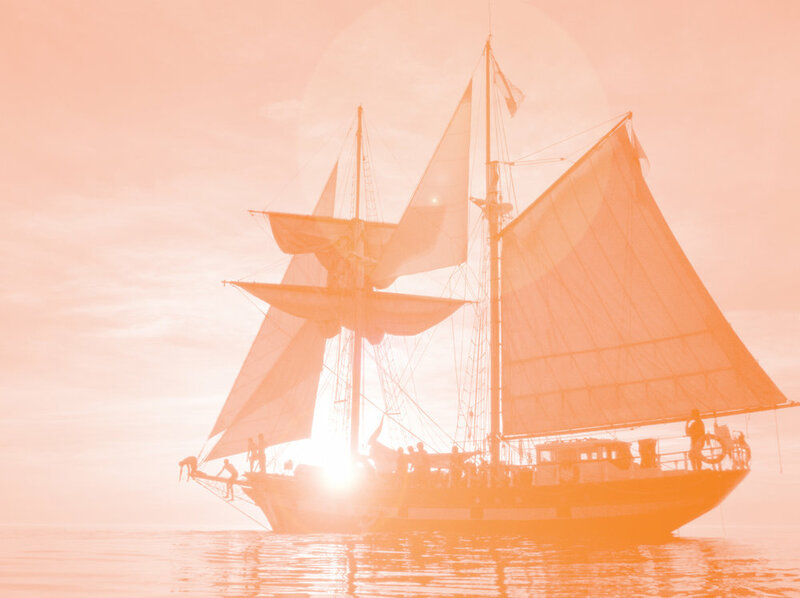 St. Lawrence II is a custom built sailing ship that serves as a platform for immersive outdoor adventure programs. The Ship was built by Kingston shipyards in 1953 to a design by Francis MacLachlan and Mike Eames. The ship was designed with a level of complexity built in which requires a high degree of teamwork. Small as she is, this design has proven to be extraordinarily seaworthy and handy - not to mention fairly quick. Below decks the ship is separated into 3 spaces. One forward for jr. Officers, one aft for sr. Officers, and one amidships for trainees. She is also fitted with two "heads" (washrooms), a galley (kitchen) and an Engine Room. St. Lawrence II has a full, modern navigation suite which includes GPS, Radar, Depth Sounder and two radios. The St. Lawrence II is a Transport Canada inspected and licensed sail training vessel, conforming to all standards and manning requirements. She carries two life rafts, 4 life bouys, an EPIRB, Two VHF DSC radios and an aux. GPS.